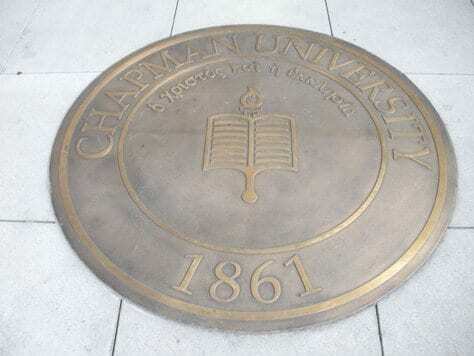 Chapman University in Orange, California was originally founded in 1861 as the Hesperian College. Chapman College was renamed in1934 in honor of Charles C. Chapman. It was renamed again in 1991, Chapman University. Chapman University is located in downtown Orange, CA just minutes from the circle. There are many businesses in the area. The architecture of the buildings is beautiful. If you have not visited Chapman University, I would recommend taking a touring the campus. From beautiful water features, to incredible history, it really is a beauiful campus. 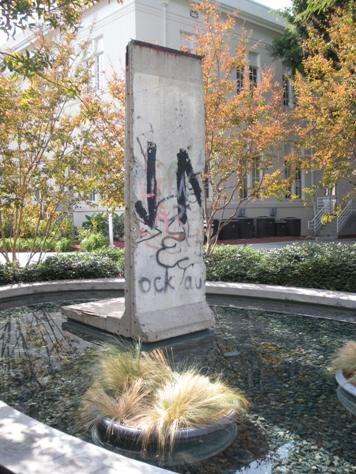 Chapman is home to part of the Berlin Wall. 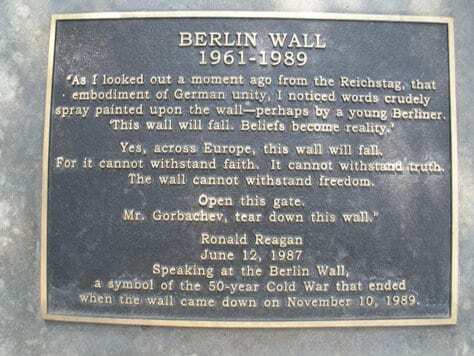 The plaque at Chapman with Ronald Reagan's quote to "tear down this wall". Chapman University students live in the Orange area and there are dormitories and off campus housing. There is a memorial to Charles C. Chapman, and the quote on the memorial states: “I liken life before you . . . to that of a ship with its prow pointed toward the great ocean as it leaves the harbor for the distant shore. Storms may come, and they will for no ship ever sailed the seas but had to face the storm. If it is strong from keel to top, bow to stern, well maintained and intelligently directed, it rides the storm and goes on it’s way. So you will meet obstacles, storms. If you are strong in faith, clear headed, honest, trusting for divine guidance and with a character built on the solid rock, you will meet all troubles in your life victoriously.” (quoted by Charles C. Chapman). Chapman University in Orange offers a various different majors including psychology, sociology, performing arts including dance, business and economics, cinema, science, education, film, English, social sciences, humanities and history. There is also a pre-law program and a pre-med program. Located on the Orange Campus, there is a Chapman University Law School which opened in 1995. 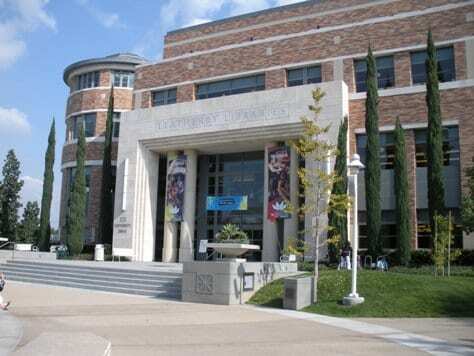 Leatherby Library at Chapman University where the students take the time to study. The atheletics program at Chapman University include aquatics (includes both swimming and water polo), baseball, soccer, volley ball, basketball, tennis, track and field and Lacrosse just to name a few. Chapman University has recently completed construction on the Aquatics Center to promote their aquatics program. Student activities at Chapman include a variety of activities, and there is a also a Greek system for the students to be involved in. And Chapman is known for the "undy run" where the students gather together during finals week, and run in the streets of Orange! This is usually done late in the evening. There are approximately 5300 students enrolled at Chapman University. As a result, the class sizes are smaller. For facts and statistics about Chapman University, please view this page. Chapman University is located in the heart of Orange County. Chapman is located approximately 10 miles from Southern California beaches, close to Knotts Berry Farm, and Disneyland, and California Adventure. Students can definitely enjoy the OC Lifestyle while attending Chapman University. Please view the Chapman University Website for more information about history of the University as well as information on admissions, and other statistics about the University. If I can answer any questions about Newport Beach Real Estate, or homes for sale in Orange or the surrounding area, please view NewportBeachRealEstateCafe.com.